J. Fagerberg, S. Laestadius and B. R. Martin (eds) (2015), The Triple Challenge for Europe: Economic Development, Climate Change and Governance, Oxford University Press. In his research Jan Fagerberg focused on the relationship between technology and competitiveness, economic growth and development. He has also worked on innovation theory, innovation systems and innovation policy. 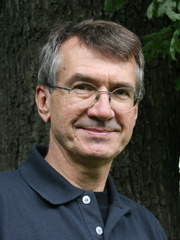 Jan Fagerberg has published extensively on these and other topics in books and journals. He is among the 1% most downloaded authors worldwide in ‘economics and related sciences’ through the REPEC service. Fagerberg is on the editorial boards of the journals ‘Evolutionary Economics’, ‘Industry and Innovation’, ‘Research Policy’ and ‘Technology Analysis & Strategic Management’. Between 2004 and 2008 he was Vice-President of the Joseph Schumpeter Society. Jan Fagerberg has been visiting professor at several foreign universities including the University of California San Diego, the Technical University of Lisbon and the University of Sussex. He has served on several committees in Norway and elsewhere, including the Norwegian Research Council and the European Science Foundation, and has been a consultant to the European Commission, the OECD and the United Nations.